and all other church/parish community activities. parents were ashamed of her and told people that she had died at birth. They kept her hidden away. Only her parish priest was allowed to visit her. He taught her about God’s love and the Catholic faith. He brought her Holy Communion. Receiving Jesus’ Body and Blood took away her loneliness because she knew Jesus was always with her. When she was a teenager, her parents took her to a Franciscan shrine in Castello. They prayed that Margaret would be healed during their pilgrimage. When she was not, they abandoned her, leaving her alone in the strange city. The people of Castello reached out to Margaret. Homeless people taught her to beg. Even though she slept in doorways or empty buildings, she never complained. In time she met men and women who were lay members of the Dominican Order. They prayed together and performed good works for people in need. They invited Margaret to join them in their ministry. She died at the age of 33. Margaret was declared “Blessed” by the Church in 1609. She is the patron of children with disabilities. 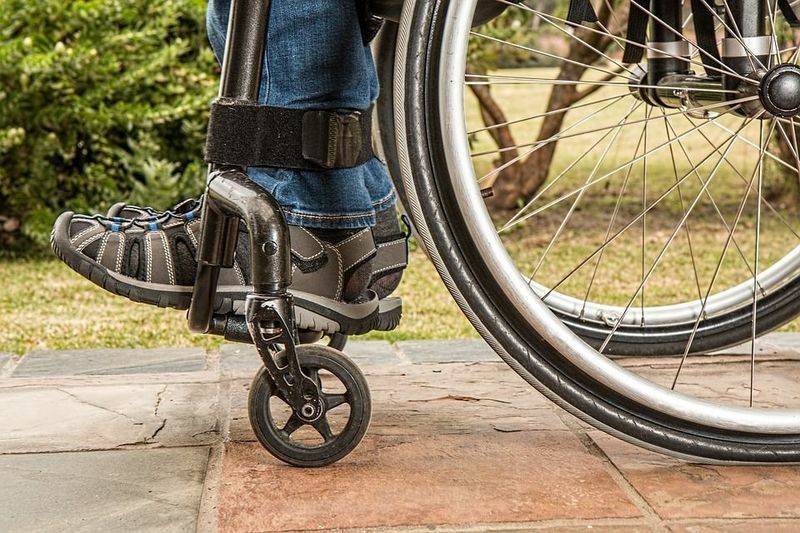 Recognition of the person with disabilities as a bearer of the Christian message of the relationships with God is the essential point of departure for a relation of parity between persons. Preparation for the Jubilee Day of Persons with Disabilities, July 2000.